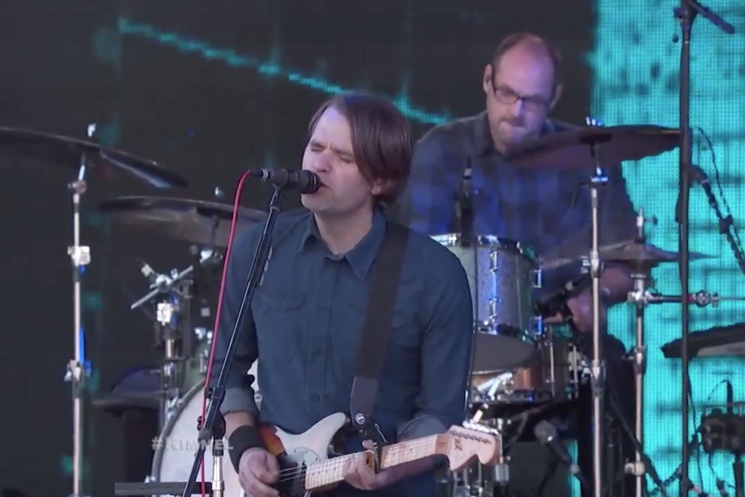 It's release week for Death Cab for Cutie, who went about promoting their freshly unveiled Kintsugi — out now on Atlantic — with a performance on Jimmy Kimmel Live. The band — minus recently departed member Chris Walla — performed the slinky rock tune "Black Sun," fleshing out the organic arrangement with a few electronic textures. They also gave "No Room in Frame" an atmospheric treatment, with the whole thing amounting to the kind of wistful melancholia we've come to expect from Death Cab. Watch the performances below, and be sure to check out Exclaim! 's brand new Essential Guide to Death Cab for Cutie.